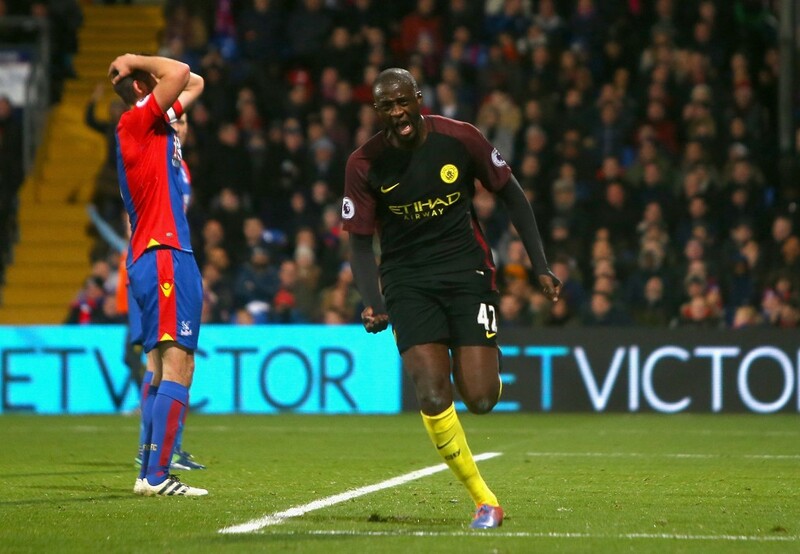 Home Features Is Yaya Touré Back in Pep Guardiola’s Plans At Manchester City? Is Yaya Touré Back in Pep Guardiola’s Plans At Manchester City? 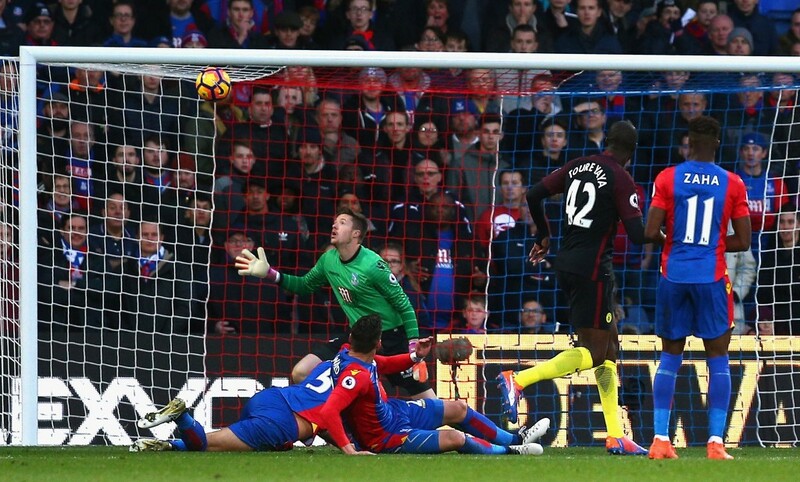 Yaya Touré returned to the Manchester City squad at Crystal Palace and scored to send out a message. It was sensational in his inclusion in the team in the first place and sensational in the two goals he scored to grab the headlines and the plaudits of team-mates and manager. In footballing terms, Touré was left in the wilderness. The last match day squad he appeared in was the second leg of a Champions League Qualifier in August, which was little more than a token appearance, given City had taken an unassailable 5-0 lead in the first leg. This would be his last game for three months until he his surprise appearance at Selhurst Park. There seems to have been two main factors behind his disappearance. Firstly, Touré’s agent Dmitri Seluk has had an ongoing argument with Pep Guardiola via the media. 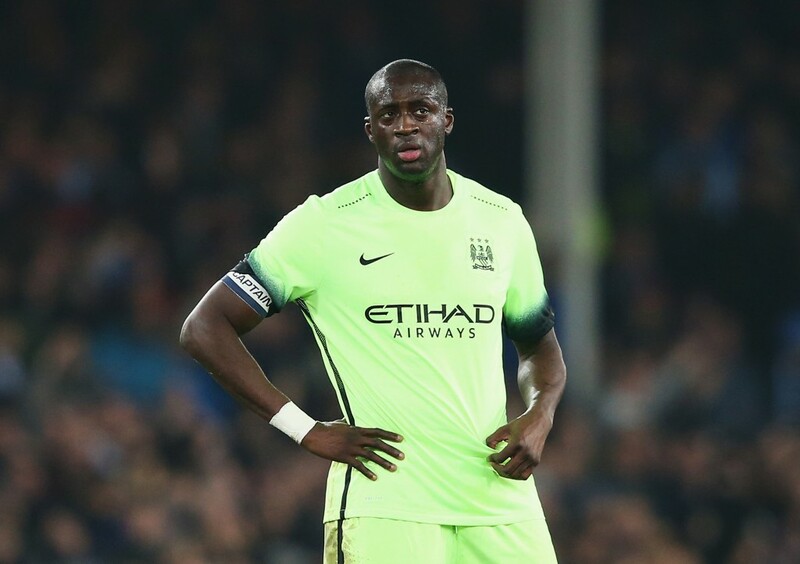 Seluk called Guardiola’s treatment of Touré a “humiliation” after he was omitted from City’s Champions League squad. This prompted Guardiola to demand an apology from Seluk. 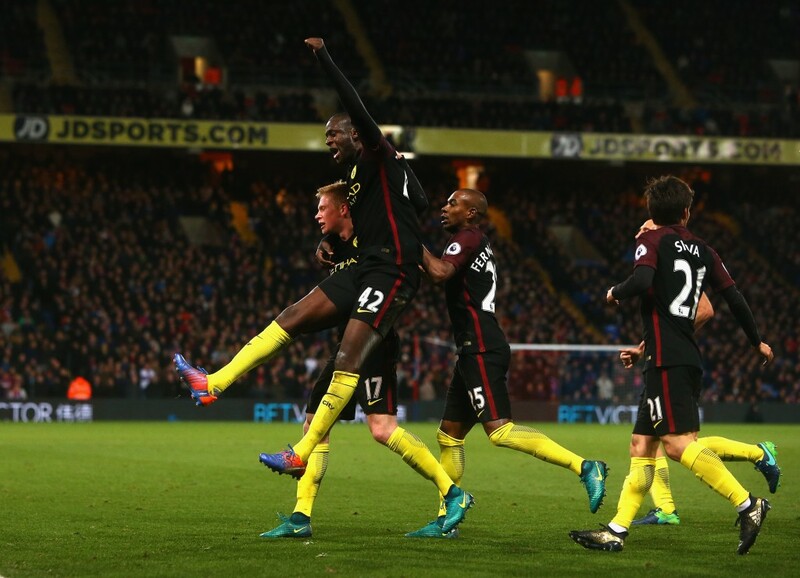 The apology never came, an impasse between Guardiola and Seluk ensued and Yaya Touré was stuck in the middle, ostracised from the City team. You could argue though that the outspoken Seluk was a blessing for Guardiola. From his early moments with the City squad, Guardiola made it clear that some players needed to improve their fitness and Touré was cast as the main culprit. A regular starter under Pellegrini and Mancini was suddenly finding it difficult to make the match day squad. In Seluk, Guardiola had an avenue to deflect from his first ruthless decision as City manager. Seluk definitely isn’t helping Touré’s case at City. Let’s not forget this agent was responsible for ridiculing City for not celebrating Tourés 31st birthday. But even before Seluk opened his mouth, Guardiola had made Touré into an outcast of the team. Touré does not fit the Guardiola mould. He is not the first and won’t be the last. Guardiola and it seems most top managers these days believe in the high pressing game, forcing opponents into giving possession away close to their own goals. The basic philosophy is that you work as hard if not harder when the opposition have the ball than when in possession. This requires high levels of fitness. The best exponents are Liverpool with Klopp possessing some of the fittest players in the league in Henderson, Lallana, Firmino, Mane and Milner to execute this plan. In contrast, Yaya Touré looks like he forgot to take his inhaler every time he steps on the pitch. It is deceptive in a way because he always look tired but his energy levels remain constant if never energetic. It is one of the many paradoxes of Touré. At six foot, two inches and a bulky frame, you don’t expect great touch or subtlety to his game but technically he is superb. Similarly with his bulk and heavy breathing you don’t expect a quick player but once he gets the engine into top gear he shows an almost unstoppable blend of pace and power. The problem for the Ivorian is that all of his best attributes come with the ball at his feet. Take the ball away from him and the powerful running becomes a lumbering jog around the pitch, similar to a Tyrannosaurus Rex wading through heavy mud. Take the ball away from him and he will struggle to get close enough to anyone to win the ball back. Take the ball away from him and he is a luxury player. He has always been a luxury player though. Many point to his age as the reason for his lack of energy around the pitch but it is has always been his style of play. Managers haven’t changed his style just as much as no one (not even Ferguson) could ever get Dmitri Berbatov to run without the ball. If you are going to play Touré then the players around him need to work harder and there needs to be contingency plans for players walking around him. Manuel Pellegrini’s most damaging losses in the Champions League came when using a two man midfield in Touré and Fernandinho. This was the same midfield City used in the Premier League against teams lacking the quality to exploit them. In the Champions League, City were overrun in midfield time and time again, with Fernandinho forced to do the work of two central midfielders. Frustratingly it was Fernandinho who often lost his place in the team after these performances with Pellegrini always preferring ingenuity over industry. However Guardiola does not and has never excused a lack of work-rate for attacking excellence. Touré’s short time under him at Barcelona showed this. He struggled to make the first team, which on the face of it was little to be ashamed of, when Busquets, Xavi and Iniesta are the players ahead of you. But this was not and is still not due to technical ability, it is down to his work-rate and mobility. The question now is whether Guardiola could accommodate Touré into the current City team? Fernandinho is a good passer and has the work-rate and pace to play the intensive pressing games. Gundogan has looked impressive in all of his starts with and without the ball. It is unlikely that Touré will be trusted with their defensive duties so his best chance will come further up the pitch where he will be competing with the likes of David Silva and Kevin De Bruyne. So maybe he will not be accommodated? There is the suspicion that his Selhurst Park cameo was an elaborate window dressing display for potential buyers. If that is the case, Touré put a few extra million back onto his price tag with his goals and new lean physique. He has though been a integral part of the City team for many years now. His team-mate’s reactions to his goals against Palace showed his importance among them. And due to among other things, he being one half (along with brother Kolo) of one of the great modern football chants, he is a fan favourite at the Etihad. But we know that Guardiola will show no sentimentality if he doesn’t fit in his plan. Neither you would think would City’s owners who may have abundant wealth but can’t be happy paying wages of over £200,000 a week for a fringe player. The case of Daniel Sturridge is a similar one. Sturridge is arguably Liverpool’s best finisher and most talented attacker but his floating style of play does not fit into the Klopp philosophy of manic aggression without the ball. Touré is a very talented player too, one of the best midfielders the league has seen and Guardiola said after the game against Palace that ‘his weight is perfect now and there are no doubts about his quality’ but it is hard to believe that Touré will ever fit into one of his teams.